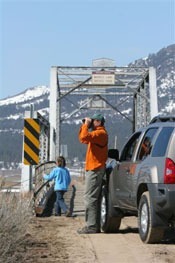 Sierra Valley is unsurpassed in bird viewing and photographic opportunities. The images on the home page of the website were taken by awesome photographers and bird enthusiasts Tom Grey, Martin Meyers (Sierra Bird Bum:), and Graham Owen. Out of appreciation and love for Sierra Valley, the photographers were more than happy to share their photos. Our Valley is grateful. Living in Sierra Valley (Sierra Brooks), the webmaster, while watering the garden just this morning, eyed a long, blue heron flying the edge line of of Smithneck Creek. What a joy! Birds in the backyard have included grosbeaks, hummingbirds, strawberry colored house finches, woodpeckers, families of goldfinches, starlings.. just too name some. In the winter, the feathers of doves sparkle against the snowy limbs of the old Hawthorne tree. They like to eat the dried, red berries. And, leaving a night window cracked, under a Sierra moon, invites the fluting of an owl. About the end of May, the valley floods with water channels. A trip out to Steel bridge is an unexpected trip to paradise. It is hard to imagine, if standing in the high desert brown earth and sage of Chilcoot, that just a short 10 minute drive toward the Valley’s center will reveal green marsh grasses surrounded by rivers of cool, blue waters, and wild blue irises rivaling the sky. Life is abundant. Swallows flutter and glide, in unison, singing sweetly and gently throughout the posts and pillars. Wood ducks bob up and under the water’s surface, as do the occasional otter or beaver. Redwing and Yellow Headed Blackbirds call pleasantly, dancing and flaunting, ..beckoning. It is breeding season. Many birds from diverse, geographical regions may be seen together. It is not uncommon to view eagles, herons, and sand cranes all in the warmth of a single day. Sierra Valley is a broad, open valley in Northern California with a mix of seasonally flooded sagebrush flats, agricultural fields, and wetlands formed by the headwaters of the Feather River. This area is excellent for wintering waterfowl and raptors, as well as spring migrants and marsh birds. Sandhill Cranes usually nest in the valley. At the western edge of the valley, Yuba Pass (elevation 6,701 feet) offers prime mountain forest habitat. At the right time of year, it is possible to see over 100 species in a day by starting at Yuba Pass in early morning, continuing through the valley, and ending at Frenchman Lake to the east. Sierra Valley itself can be productive at any time of year. Mid-October through February is the best time for raptors, while May through June offers the most diversity. From the I-80 & US 395 interchange, drive north on US 395 for approximately 24 miles to Hallelujah Junction/SR 70. Exit and turn left (west) onto SR 70. Drive 7.9 miles to Vinton. Springtime Route: From Vinton, continue west an additional 12 miles to A23 and turn left (south). Continue another 11.8 miles on A23 to the Calpine turnoff to SR 89. Turn right (west) on the cutoff and drive 1.3 miles to SR 89. The stand of pine trees on the south side of the road can be a good place to find owls. Turn left on SR 89 (southeast) and continue 3 miles to SR 49. Turn right (west) on SR 49 to Yuba Pass and Downieville. The willows and small meadows at about 1.1 mile often have numerous warblers and hummingbirds, including Calliope. The lookout at 2 miles is a good place to listen for Winter Wren and Northern Pygmy-Owl. Proceed 4 miles from the lookout to Yuba Pass. Park in the lot on the south side of the road. The first quarter- to half-mile of the roads to the north and south of the parking lot as well as the small adjacent meadow can be productive. These areas, birded in early morning, are the best spots to find Black-backed Woodpecker and Williamson’s Sapsucker, as well as Hermit and Townsend’s Warblers. Mountain Quail can also be found here. If time permits, continue west from Yuba Pass on SR 49 for 7 miles to Bassett’s Station on the right side of the highway (food, gas, restrooms). Check the hummingbird feeders at the restaurant, then walk to the bridge over the North Yuba River on the south side of SR 49 to look for American Dipper. Retrace your route on SR 49 back to the junction of SR 49 & SR 89. 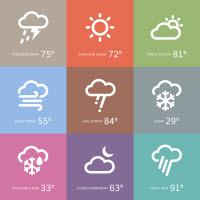 Fall/Winter Route: From Vinton, turn left (south to Loyalton) on SR 49 and drive 3.6 miles to Dyson Lane. Turn right (west) on Dyson Lane. This is great raptor country. Continue 5.3 miles to Heriot Lane (misspelled “Harriet Lane” on the sign) and turn left (south). 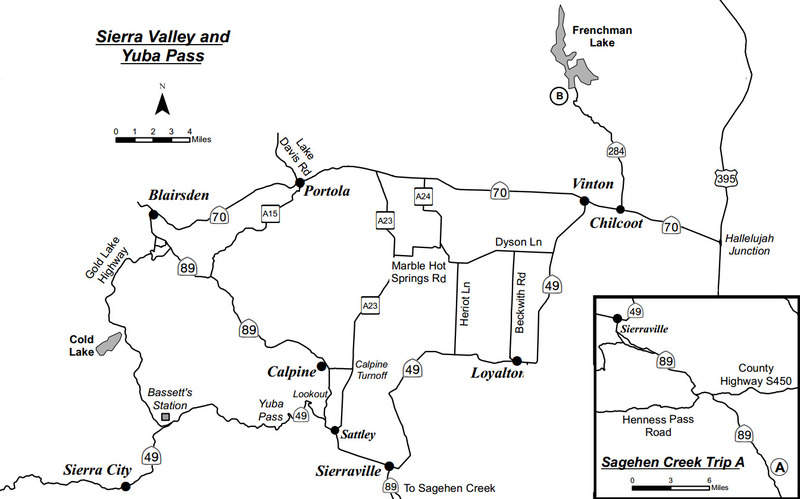 Drive 5 miles to SR 49, which follows the eastern and southern boundaries of Sierra Valley. The fields on both sides of the road just before arriving at SR 49 tend to be the best places to find Ferruginous Hawk. This is one of the finest riparian areas in the region. From Sattley, continue another 3.9 miles east on SR 49/SR 89 to the junction where SR 89 turns south in Sierraville. 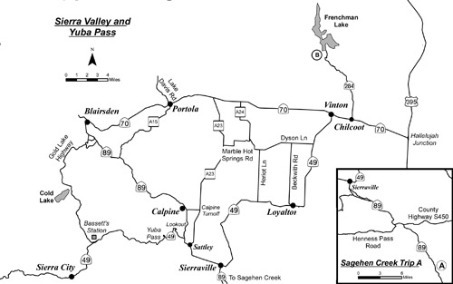 Turn right (south) on SR 89 and drive 16.2 miles to Sagehen Creek (unsigned). Park in the dirt parking area on the left just before the bridge over Sagehen Creek. Two routes are possible. To follow Sagehen Creek east 2 miles to Stampede Reservoir, take the trail from the parking area along the north side of the creek. To follow Sagehen Creek west, cross the highway and make your way through boggy seep areas along the south side of the Creek, finally reaching meadows and higher ground. The latter option is better late in the summer. From the parking area, return to Reno either by turning left (south) 7.5 miles on SR 89 to Truckee and from there 30 miles back to Reno on I-80 east or by turning right (north) and retracing your route through Sierraville and Hallelujah Junction. This reservoir lies at the head of a high-walled, narrow canyon in an area of ponderosa pine and mountain mahogany. From Vinton drive 2 miles east on SR 70 to Chilcoot, which is approximately 30 miles from Reno. Turn left (north) onto Frenchman Lake Road/SR 284 and drive 8.4 miles to the reservoir. En route, bird the canyon’s rich riparian areas, checking for American Dipper, Violet-green Swallow, warblers, vireos, orioles, and other songbirds. When you reach the reservoir, circled by a good road, park at the dam and look for loons and diving ducks. If time permits, circle the lake, birding along the way; or return to SR 70. For photographs of species and detailed species information the Audubon Society recommends visiting All About Birds hosted by the Cornell Lab of Ornithology.